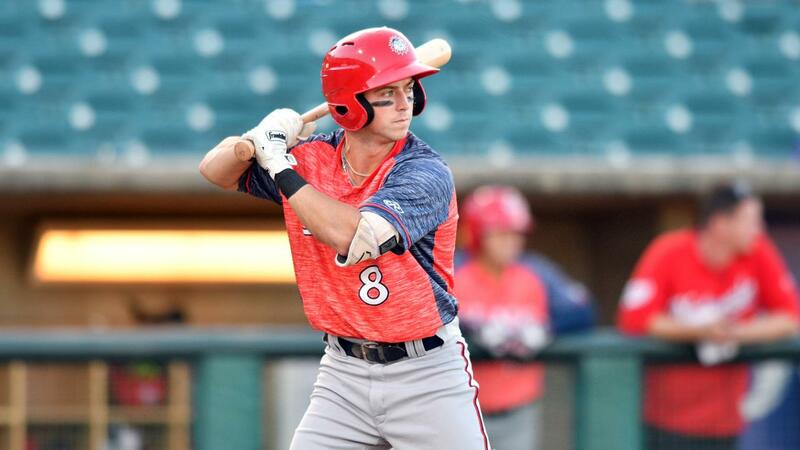 Hagerstown, MD - Cole Freeman hit a grand-slam as the Hagerstown Suns lost their sixth-straight game 11-4 against the Kannapolis Intimidators on Saturday night at Historic Municipal Stadium. 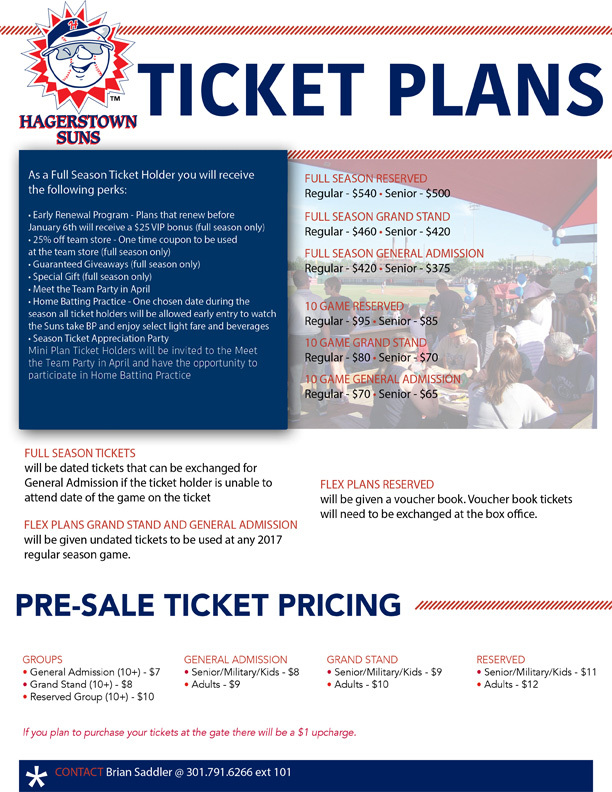 The Suns are 24-39 in the second half and 51-80 overall and will play the third game of the four-game set on Sunday afternoon with a 2:05 PM first pitch. After a delayed start due to impending storms, Saturday's game began an hour late. Kannapolis scored a run in the second against Hagerstown starter Sam Held. With one out, Tate Blackman reached on an errant throw and moved to third when Michael Hickman singled. Carlos Perez hit a sacrifice fly to right to plate Blackman, giving the Intimidators a 1-0 lead. The Suns scored four runs in the third inning against Intimidators starter Matt Portland to take the lead. With one out, Paul Panaccione, Phil Caulfield, and Nick Choruby all walked to load the bases. Freeman homered on the first pitch of the next at-bat, belting a grand-slam to left, giving Hagerstown a 4-1 lead. The slam was Freeman's third homer of the season and gave the Suns their first lead of the series. Kannapolis tallied six runs on six hits in the fourth against Held in his last inning of work. Steele Walker led off with a single, Craig Dedelow walked, and Blackman singled to load the bases. Hickman singled to left, plating Walker and Dedelow to cut the Hagerstown lead to 4-3. With runners on first and second, rain at Historic Municipal Stadium intensified and delayed the game for 27 minutes. When play continued Perez singled to left to load the bases and Johan Cruz reached on a fielder's choice when Anderson Franco threw out Blackman out at the plate. With one out, Ramon Beltre singled to center to score Hickman and Perez, giving the Intimidators a 5-4 lead. Tyler Frost doubled to center, plating Cruz to make it 6-4 while Beltre advanced to third. Luis Curbelo grounded into a fielder's choice while Beltre scored to increase the Kannapolis lead to 7-4. The Intimidators added a run in the sixth against Suns reliever Carlos Pena. With one out, Cruz singled to center, advanced to second on a wild pitch, and reached third on a ground out to short. With two outs, Frost singled to right, plating Cruz to make it an 8-4 Kannapolis lead. The Intimidators tacked on three more runs in the eighth against Pena in his last inning of work. The Suns were held scoreless for the last six innings of the game as they fell on Saturday night 11-4. Held (5-8) pitched four innings while allowing seven runs (six earned) on eight hits with a walk and four strikeouts. Pena spun three-and-a-third innings while giving up four runs on six hits with two walks and three strikeouts. Phil Morse pitched one-and-two-thirds innings while allowing two hits, a walk, and a strikeout. Notes: Freeman increased his hit-streak to three games… He extended his on-base streak to 15 games… He recorded his 28th multi-hit game of the year… His grand-slam was the third one of the year by a Suns player… It's the first slam since Scudder did it on May 27 against Greensboro… Freeman and Scudders were both go-ahead homers… It was the first home run for Freeman in 349 at-bats… Alex Dunlap increased his hit streak to four games… The Suns lost their 80th game of the season… It's the first time since 2007 the Suns lost 80 games in a season… Hagerstown is 15-50 when the opponents score first… The Suns starters are 29-52 on the season…Hagerstown set a new season-high with six straight losses… The Suns gave up 11 runs… The last time Hagerstown allowed 10+ runs was on Aug 24 at LEX… The Suns are 16-23 against left-handed starters… The Suns finish the season at 11-10 on Saturdays… They are 6-5 at home and 5-5 on the road on Saturdays… They finished the year 13 homers in Saturday Games… It's the most of any day of the week, two ahead of Monday… Saturday was also the final night game of 2018… The Suns finish the season with a 38-66 in night games… Hagerstown will play game three of the four-game series with Kannapolis Sunday afternoon with a 2:05 PM first pitch… It's the final Sunday Funday of the year… Kids Club members can play catch on the field before the game… All kids are invited to run the bases after the game… The Suns will send LHP Jackson Stoeckinger (2-6, 6.97 ERA) to the mound against Intimidators LHP Drew Harrington (8-7, 4.83 ERA)… The broadcast can be heard, starting with the pregame show at 1:55 PM on www.hagerstownsuns.com by going to multimedia tab and clicking on "Listen Live"... The broadcast is also available on the Hagerstown Suns Radio Network in the Tune-In Radio and MiLB First Pitch apps.